Former Deputy Prime Minister and Chairman of JPC. Director of the Government Press Office. Israeli politician, journalist, associate professor at the Hebrew University, Chairman of the caucus for freedom of speech and expression. Middle East Editor, Associated Press. Washington Post reporter, who, together with Bob Woodward, broke the Watergate story, will reflect on government-press relations from Nixon to Trump. US President Donald Trump called the press “phony” and denied access to White House briefings; Turkish President Recep Tayyip Erdoğan throws journalists to jail; in Vladimir Putin’s Russia they are oppressed; and in Israel, according the RSF’s Press Freedom Index, the public broadcasting is going through hard time. This panel will surely make headlines. Chief Anchorman, WALLA NEWS Digital Network, Israel’s Largest Digital Outlet. NBC 7 Investigates in San Diego, National President of the Society of Professional Journalists. Author and columnist with RFE/RL – Radio Svoboda (Moscow). Co-founder of the Community of Investigative Journalists – Fond, Executive Board of the Vienna based International Press Institute (IPI). Former Spokesperson of the Prime Minister Benjamin Netanyahu. Spokesperson of the Hungarian Government. 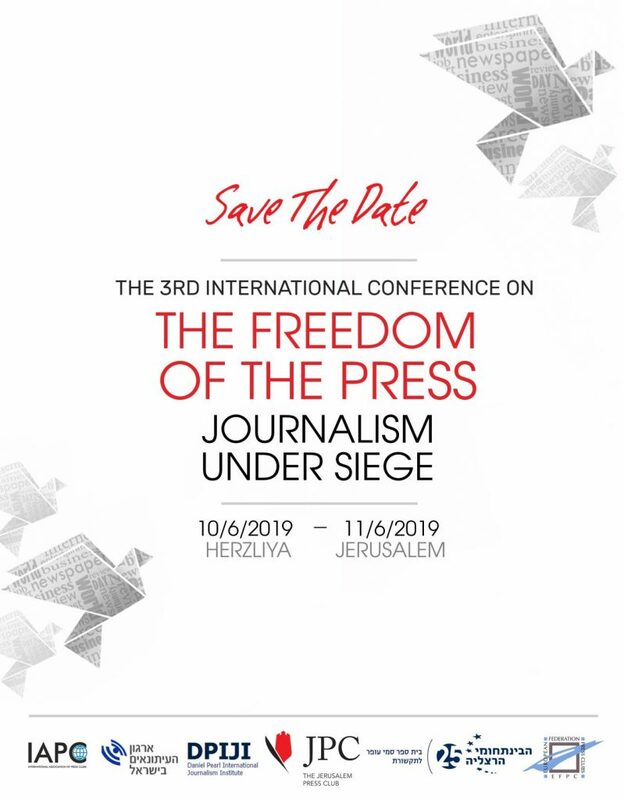 Secretary General of the International Association of Press Clubs (IAPC), will talk about the annual Freedom of Speech Award. President of Press Club Polska (Warsaw) and the Secretary General of the International Association of Press Clubs (IAPC). The coordinator of the Press Club in Belarus. Since William Howard Russell covered the charge of the Light Brigade in the Crimean War, war correspondents risked their lives to bring the realities of the battlefield to readers, viewers, and listeners. Many of them have paid with their lives in the line of duty, and wars only become more lethal. New technologies, including Artificial Intelligence, open new options for war coverage. Will it be the same? EU research, on the role of social media in collective action. Dean, Sammy Ofer School of Communications at IDC Herzliya. Turkish foreign correspondent with TRT World. Al Jazeera’s Israel & Palestine bureau Chief. Traditional media, particularly newspapers, suffer from the impact of structural and market changes, which have reduced the profitability of media enterprises. In response, severe cuts have been imposed in editorial departments, weakening the quality of journalism and sacrificed reporting standards in pursuit of commercial objectives, overriding ethical values with journalism that is populist, sensational, and biased. The rise of social media legitimizes the use of amateurs in a weakened traditional media industry. The panel will discuss ways to maintain ethical norms in such a challenging situation. The Washington Post’s Jerusalem Bureau Chief. Digital and Social Media Director for CNN en Español. 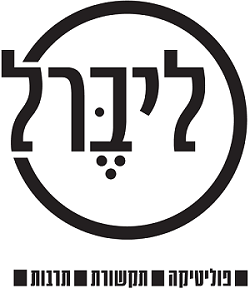 Journalist and media critic at The Seventh Eye, an independent Israeli website devoted to Journalism. Chairman of the The Union of Journalists in Israel. Director of Internet and Media at the Shalom Hartman Institute in Jerusalem. Mr. David Feuerstein‏, Vice President Strategic Partnerships & Sales at Showbox. More people than ever are getting their news via their smartphones, and some from their smartwatches. The Cards system, which integrates designers, editors and technical people, provides visual presentations to make social media more appealing and effective. But guidance has shifted from the editorial board rooms to corporate headquarters, and governments have new ways of becoming Big Brother. How can we maintain press freedom in such a turbulent era? Times of Israel’s New Media Editor. Founding Editor of The Times of Israel. Elected President of the Overseas Press Club of America. Founder of ‘0202’ – A brand-new Facebook page that translates Arabic-language news items about East Jerusalem into Hebrew. Media strategist of De Correspondent. A global benchmark, the World Press Freedom Index ranks 180 countries according to the freedom allowed journalists. It incorporates indicators on the level of media freedom violations in each region. Last year’s Index showed that Europe still had the freest media, followed distantly by Africa, which, for the first time, overtook the Americas, a region where violence against journalists was on the rise. Asia and Eastern Europe/Central Asia followed, while North Africa/Middle East was still the region where journalists were most subjected to constraints of every kind. What will the new Index reveal? The Jerusalem Post’s op-ed editor. Head of the World Press Freedom Index, Reporters Without Borders. The session will be held in Hebrew, with simultaneous translation. Editor-in-Chief and founder of the political magazine “Liberal”. Founder and first Editor-in-Chief of the political magazine ‘Nekuda’ (To the point) and columnist at Haaretz. Dalia Dorner, Israel Supreme Court Judge Emeritus and President of the Israeli Press Council, will give introductory remarks to a panel where two leading experts will discuss the new challenges to press freedom in the United States and Israel: Professor Frederick Lawrence, former President of Brandeis University and an expert on freedom of speech, and Professor Mordechai Kremnitzer, Professor emeritus at the Faculty of Law at the Hebrew University of Jerusalem and the Vice President of The Israel Democracy Institute. You don’t want to miss this session. The Washington Post’s Correspondent in Israel. President of the Israel Press Council. Former President of Brandeis University. Visiting Professor of Law and Senior Research Scholar in Law at Yale Law School. Secretary and CEO of the Phi Beta Kappa Society. Lawrence is a leading expert on civil rights, free expression, and bias crimes. Professor emeritus at the Faculty of law at the Hebrew University of Jerusalem, former Dean of the Faculty of Law, and President of the Israeli Press Council. Currently he is The Vice president of The Israel Democracy Institute.